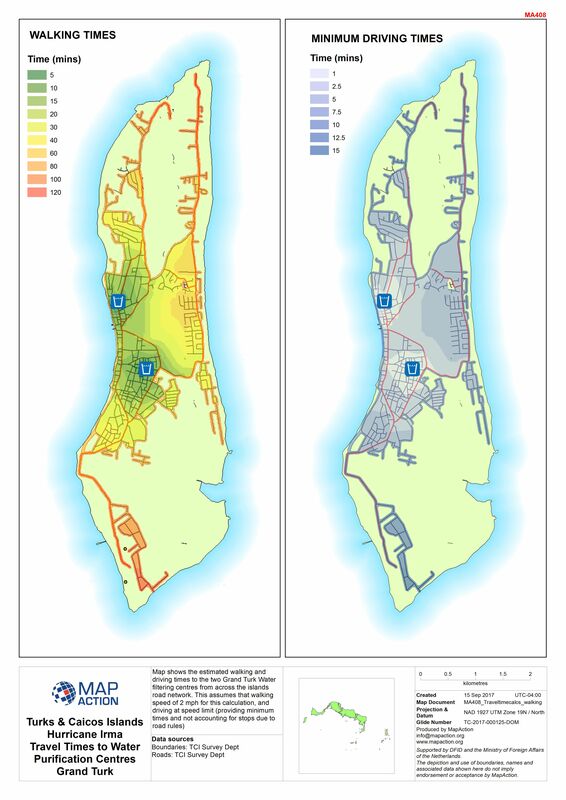 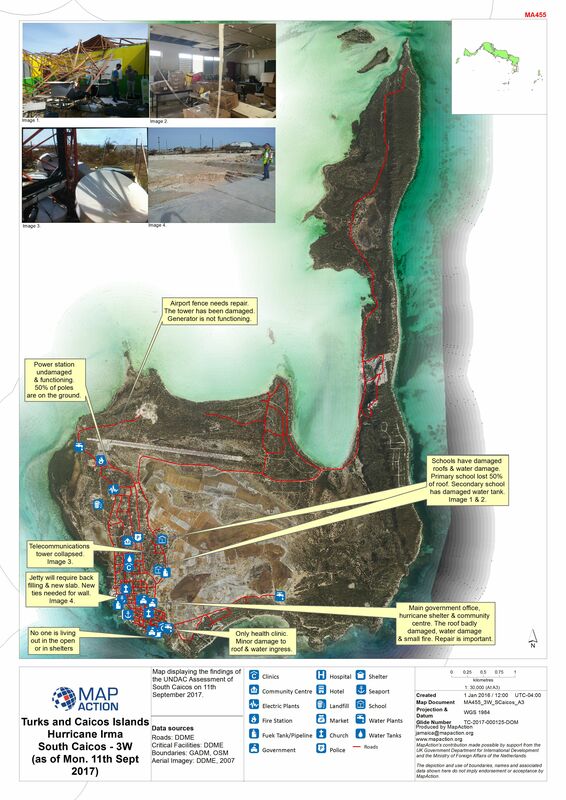 Turks and Caicos sections for assessments with landmarks for reference. 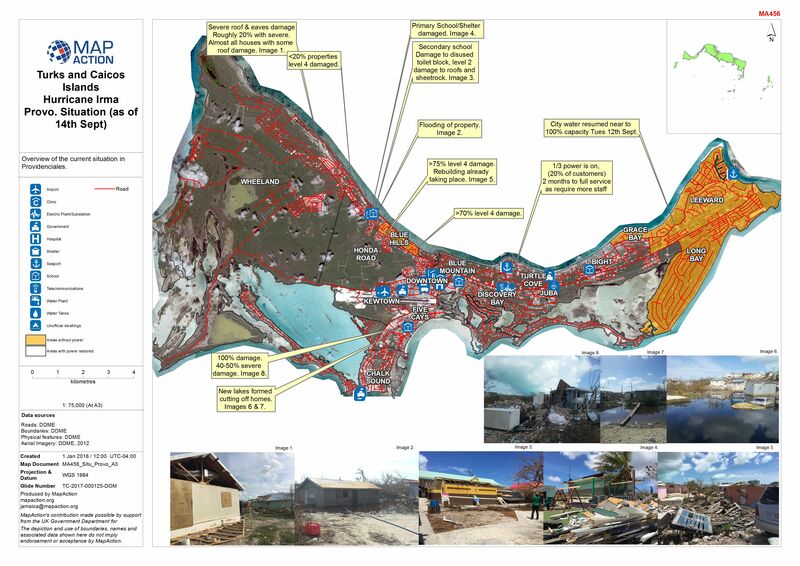 Residential property initial damage assessment by Department of Disasters and Management of Emergencies (DDME) displaying the level of damage sustained. 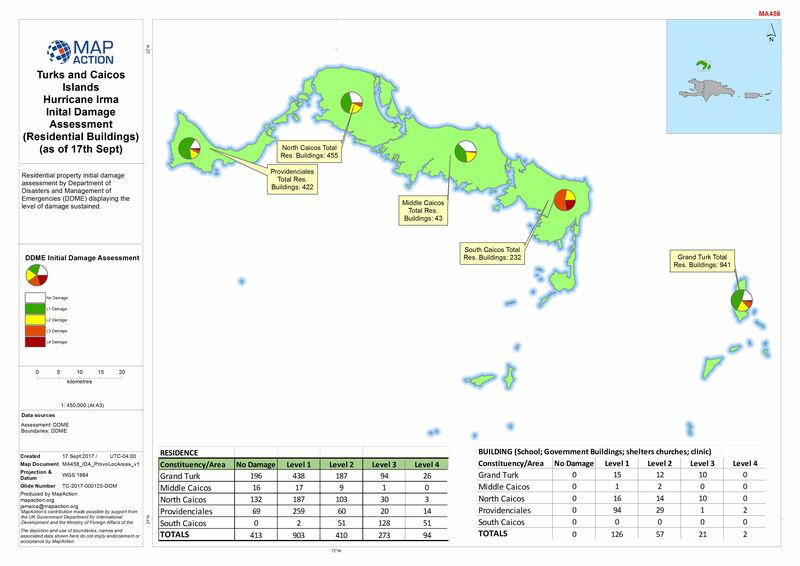 Turks and Caicos sections for assessments. 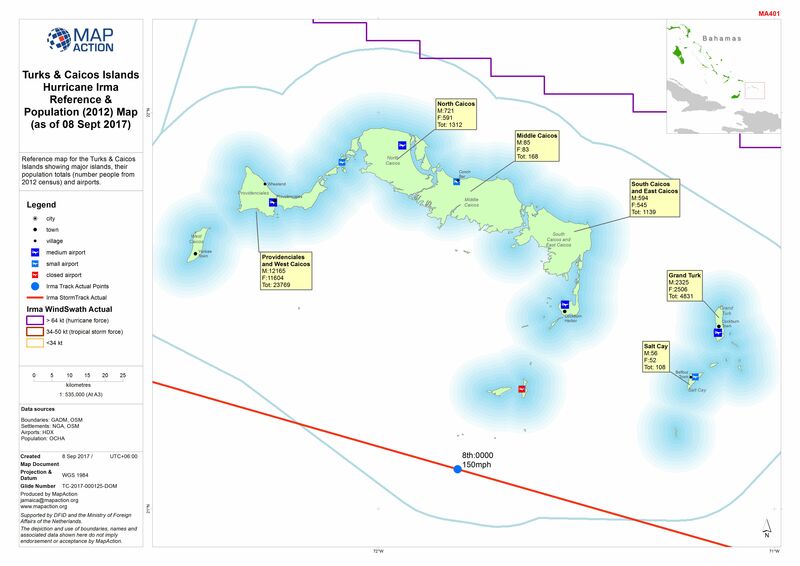 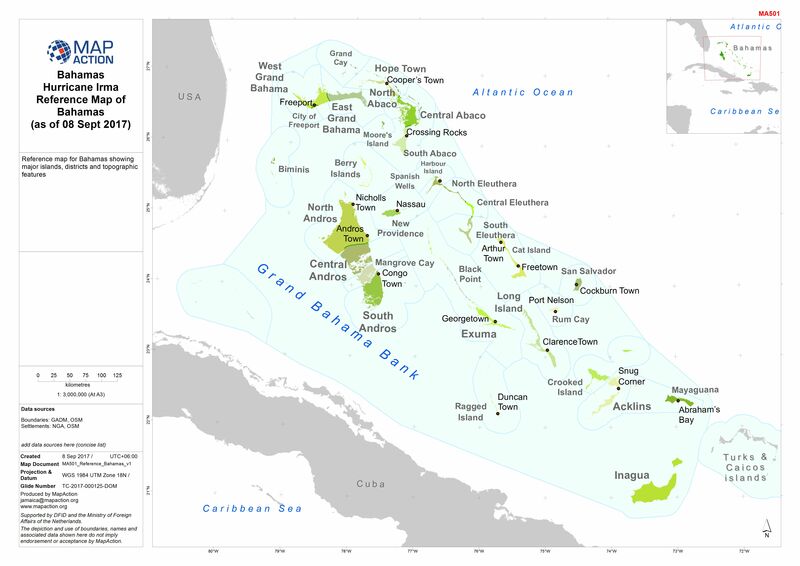 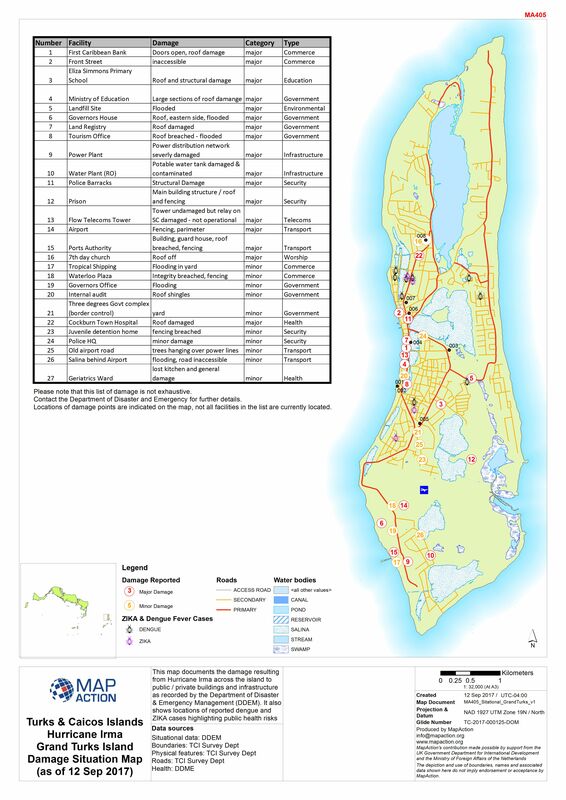 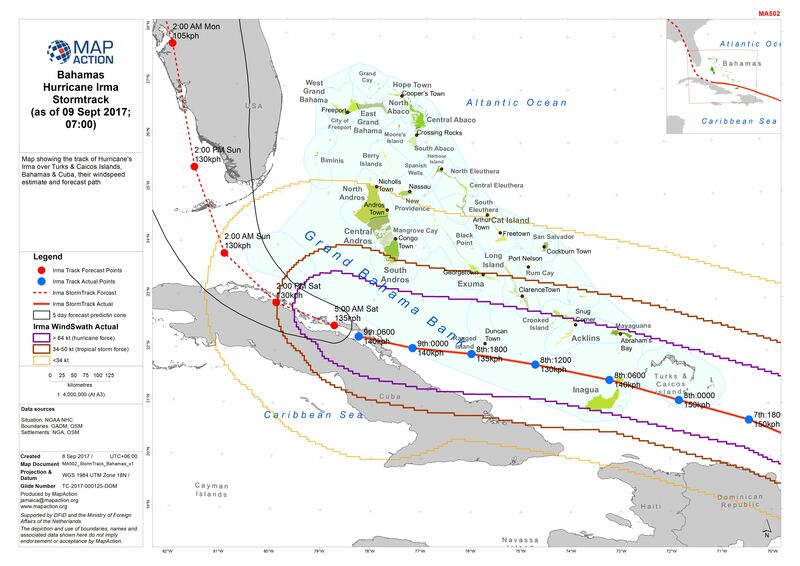 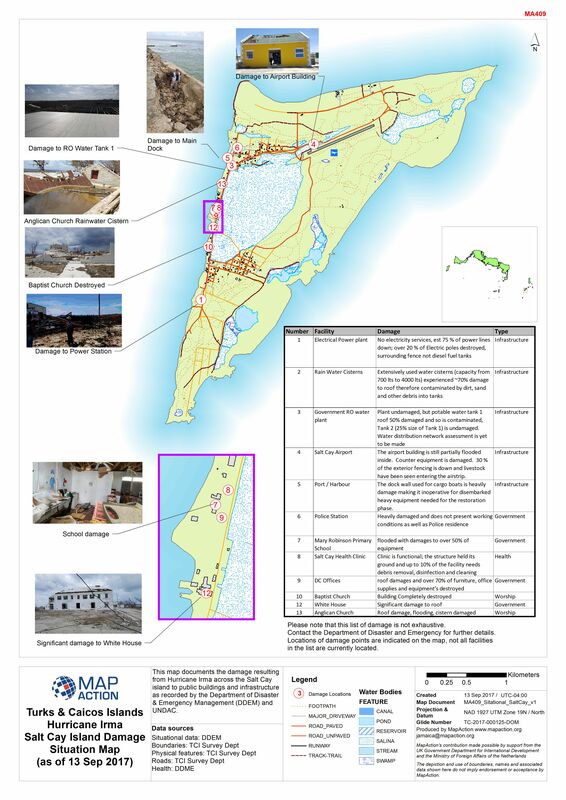 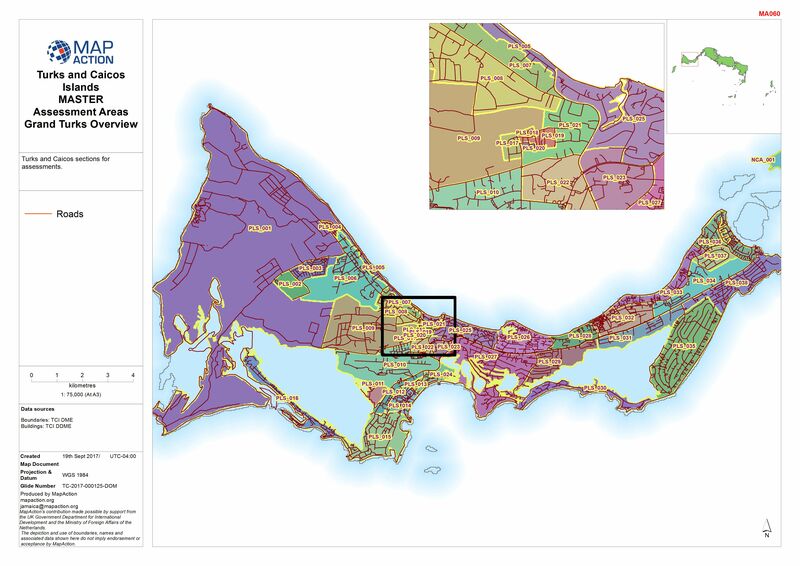 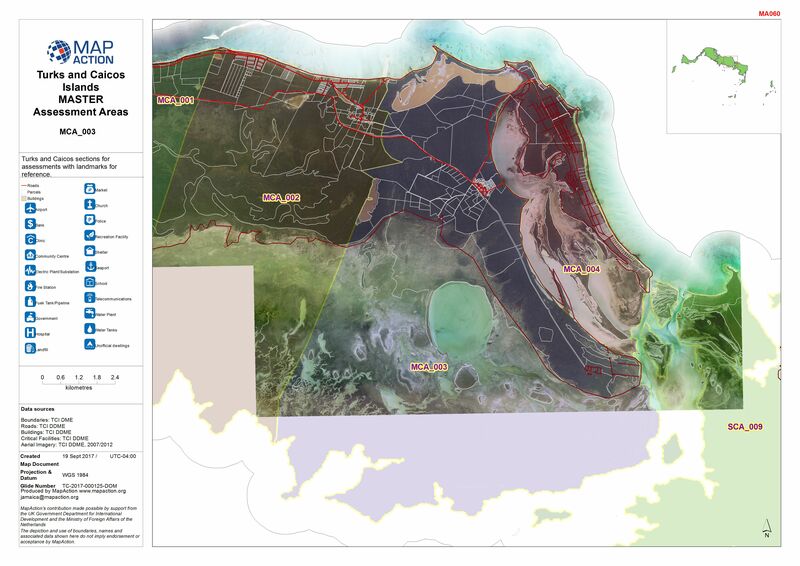 Map displaying the findings of the UNDAC Assessment of South Caicos on 11th September 2017. 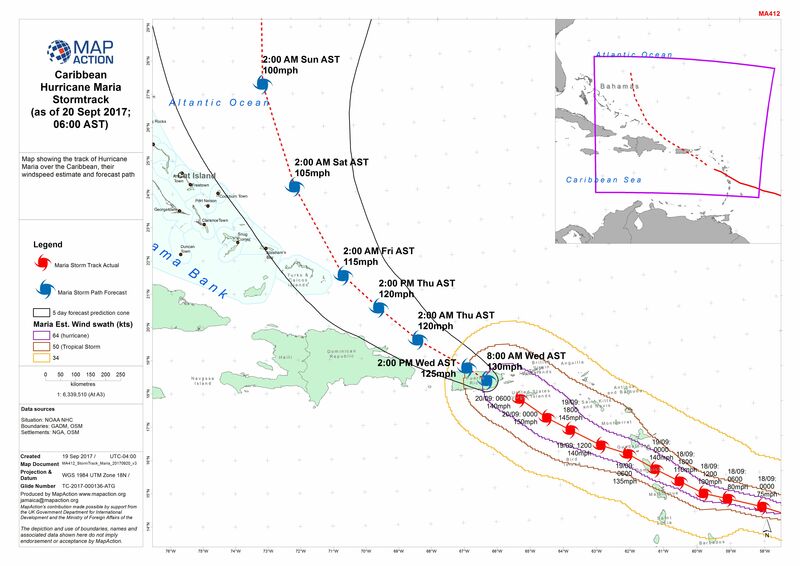 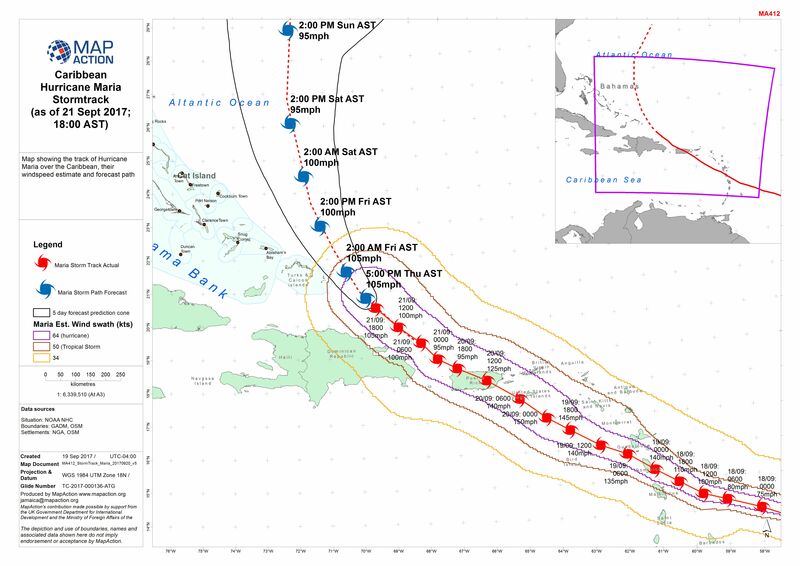 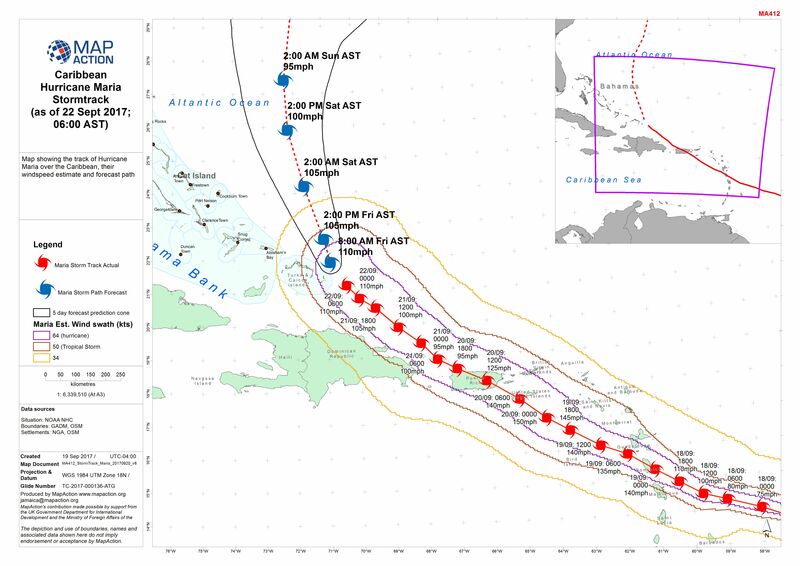 Map showing the track of Hurricane Maria over the Caribbean, with windspeed estimate and forecast path. 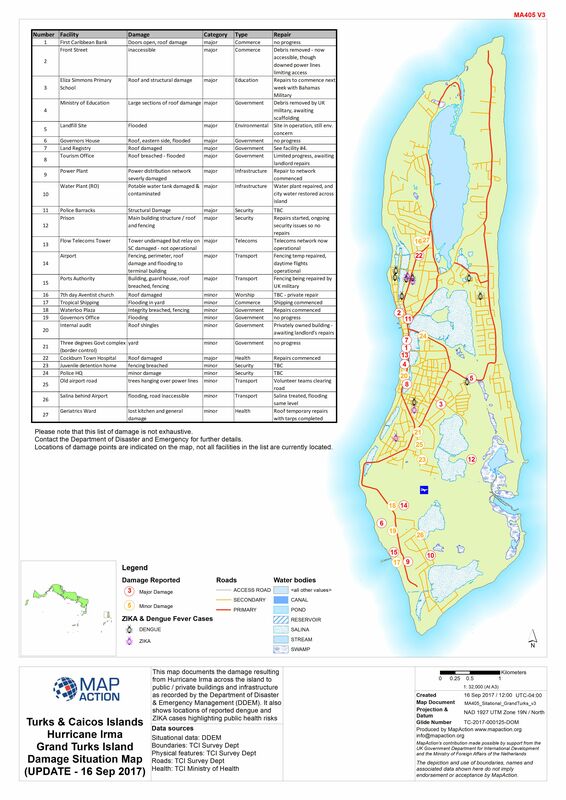 Reference map for the Turks & Caicos Islands showing major islands, their population totals (number people from 2012 census) and airports.